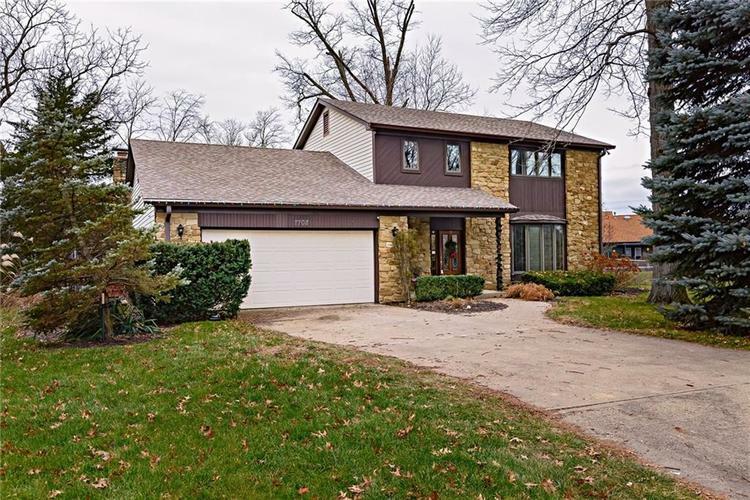 Don’t miss this amazing home with tons of updates and a wonderful basement. It features a large kitchen, perfect for entertaining with granite counters, an eat-in bar, and tons of cabinets. The main floor has 2 large living spaces, a dining room, and a half-bath. Upstairs, you’ll find 3 bedrooms and 2 full-baths. Don’t miss the walk-out attic with amazing storage. The basement has a workshop and office space. The updates include new appliances, a new water-powered sump pump system, new carpet on the main floor, new dishwasher and more. This well updated home has everything to offer. It won’t last long! Directions:From Hague Rd (between 75th and 82nd Streets – across from Lawrence North HS) – enter Eagle Nest (E.) on Tanager Ln. - take first right (S.) on White Dove and follow to end of cul-de-sac.